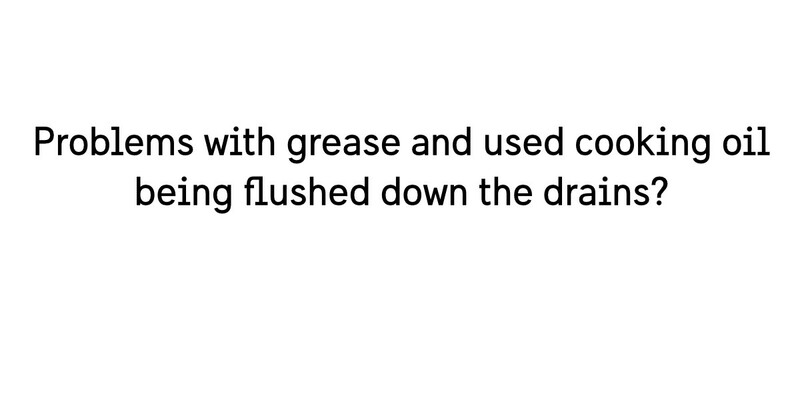 If grease and used cooking oil is flushed down the drains it clogs up and causes blockages that are difficult and expensive to fix. 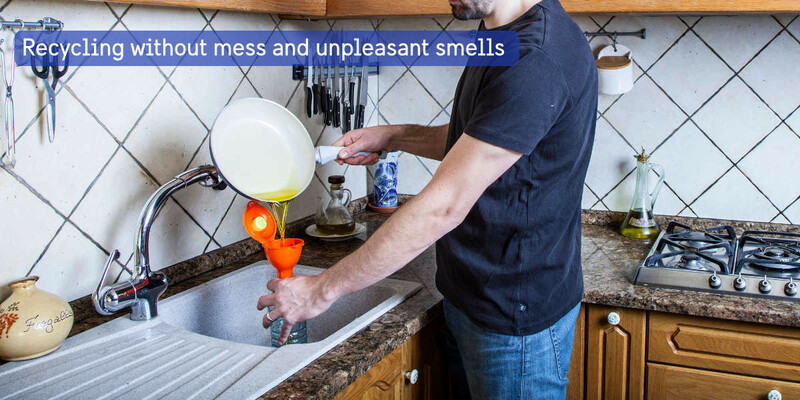 The fact that used cooking oil gets poured down the drain anyway is often due to lack of information and a simple way of handling left over cooking oil. 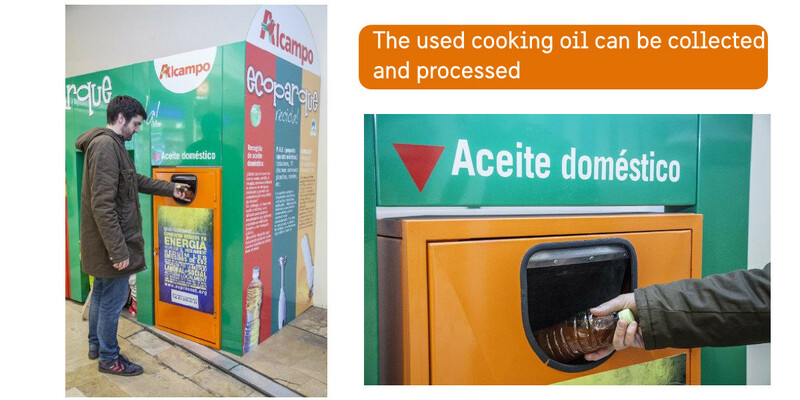 The EkoFunnel is a concept aimed at informing households about how used cooking oil can be taken care of and turned into a resource, instead of ending up in the drains where it causes a lot of damage. Here you will find everything you need for a successful awareness-campaign for used cooking oil. 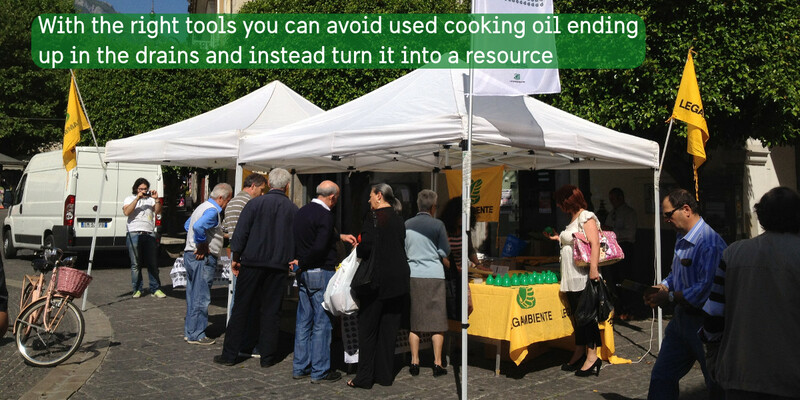 Used cooking oil is a resource! 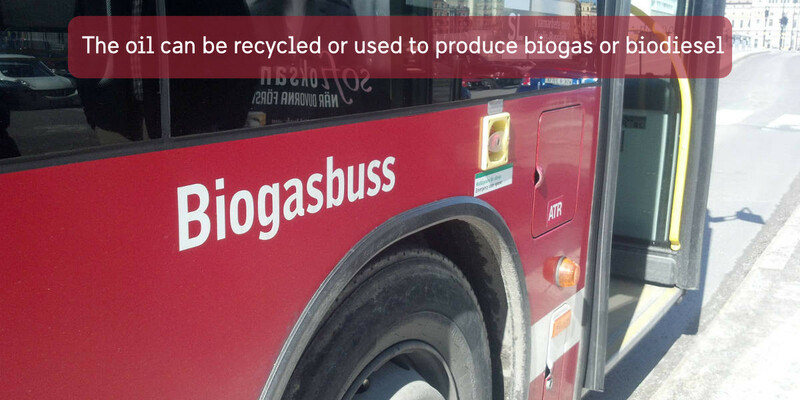 With a proper process in place, we can use it for grease recycling or production of biogas and biodiesel. 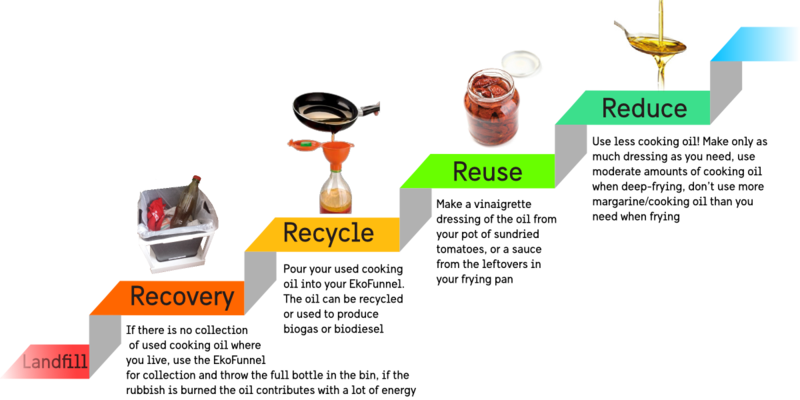 The goal is to take care of the used cooking oil and recycle it instead of pouring it out the drain where it only causes problems.